Pioneer's of the industry in the U.S. and around the globe. 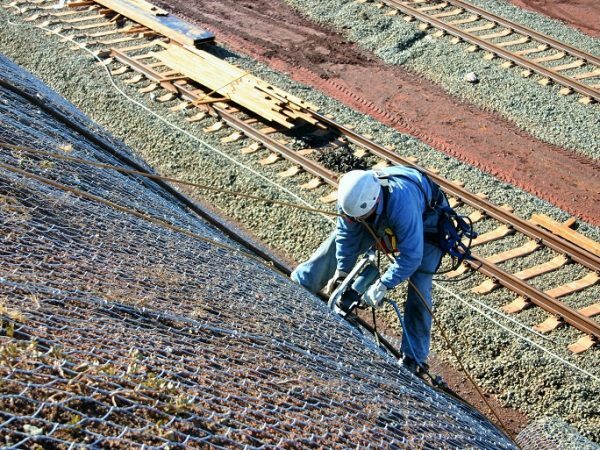 Maccaferri’s wide variety of systems offer the highest level of performance in the industry, allowing designers to select the optimum solution for their specific application. Our simple and pinned drapery systems, SteelGrid™ and RockMesh®, are the strongest in the industry and offer the lowest deformation and greatest service life of any other system on the market. Our products are independently tested and design procedures have proven reliable and safe. The higher strength and lower elongation characteristics of SteelGrid™ and Macmat®R compared to competitive products. This allows for greater anchor spacing in soil nailing applications, potentially providing significant cost savings to the owner. We offer dynamic barrier systems with rating capacities ranging from 100 to 8000 kJ to intercept falling rock and boulders. They have been independently tested in accordance with the strictest industry standards and have proven to provide the best performance characteristics of any barrier system on the market. 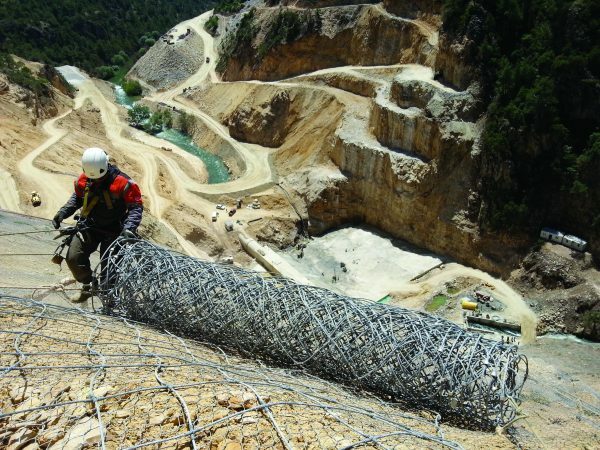 These barrier systems combine the energy absorption capabilities of a dynamic rockfall barrier with the reduced-maintenance of drapery mesh. This provides a cost-effective solution for long slopes with available catchment space. Our custom designed barriers are positioned within the anticipated path of a debris flow or shallow landslide, often in natural gullies, channels, or chutes. Similar to dynamic barriers, debris flow barriers incorporate additional absorption capacity. 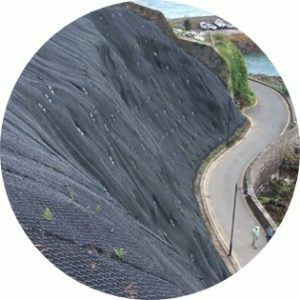 Scalable to suit each hazard, embankments are used where large or repeated impacts are expected including landslides, rockfalls, and avalanches. Featuring reinforced soil designs, they can often re-use site won materials. Embankments can be designed to sustain impact energy capacities of over 20,000kJ. Our simple and pinned drapery systems offer the highest tensile and punch resistance, with the lowest deformations in the industry. Our European Technical Approval Guideline (ETAG) tested rockfall barriers provide the lowest deformation with the highest residual height in the industry. Our GalMac and polymer coated products provide 2 to 5 times the service life as our competitors. Our products are independently tested and certified in accordance with the strictest industry standards. Our solutions use the highest quality raw materials and provide world-class engineering with custom design and manufacturing capabilities.